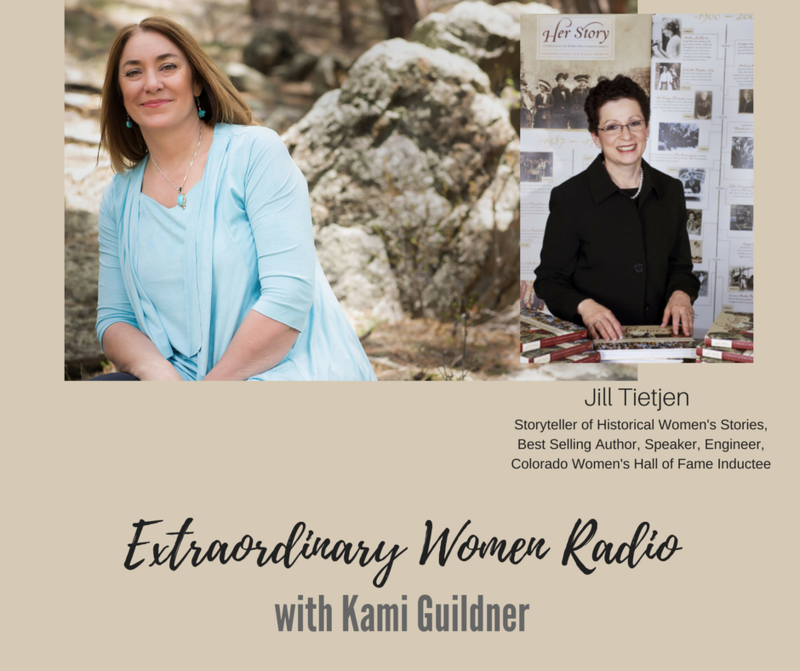 Today’s Extraordinary Women Radio Interview is with a Colorado Women’s Hall of Fame Inductee – Jill Tietjen! Jill and I share a huge love for telling women’s stories. In fact, Jill has written a whole book about it! Her book, Her Story: A Timeline of Women Who Changed America is a one-of-a-kind illustrated timeline highlighting the awesome, varied, and often unrecognized contributions of American women throughout U.S. history, beginning in the 1500s and spanning all the way through 2011. I’m guessing most of us have seen Hidden Figures… Such a great movie! What I’ve often wondered after seeing this movie – is how many other untold stories are there out there, that we don’t know. Well, Jill has made a lifetime of uncovering stories like this – making sure women’s stories are told and shared – long before Hidden Figures launched. Today’s episode with Jill Tietjen is the first many interviews, with a Colorado Women’s Hall of Fame Inductees. I’m super excited and honored to share that I’ve partnered with the Colorado Women’s Hall of Fame to tell the stories of many of the women who have been inducted into the Colorado Women’s Hall of Fame on Extraordinary Women Radio! I will intersperse these interviews amongst the many interviews with wildly successful women from around the world – to help get their stories heard! The Colorado Women’s Hall of Fame celebrates COLORADO’S EXTRAORDINARY WOMEN – so you can see why its such a great fit for extraordinary Women Radio! The organization recognizes, honors and preserves the contributions of trail-blazing Colorado women. To learn more about the Colorado Women’s Hall of Fame – http://www.cogreatwomen.org.